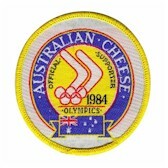 Australia 1984, Australian Cheese, Official Supporter. 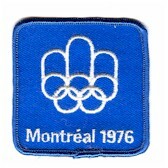 Atlanta 1996, Olympic Games Security patch. 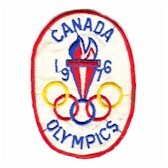 Atlanta 1996, Olympic Security Team patch. 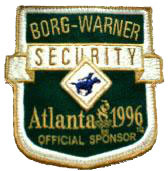 Atlanta 1996, Borg-Warner Security patch, Official Sponsor.